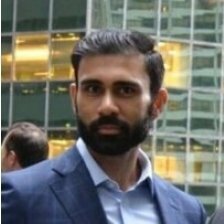 Saliq Khan is a Vice President at Imperial Capital in the New York City office. He leads the firms efforts in covering Internet of Things, Security and Smart Premises sectors and underlying companies. He currently sits on the Advisory Board of Toronto-based LocateMotion, a health monitoring and analytics company. Mr. Khan’s role goes beyond the typical investment and financial valuation. He regularly visits the management teams of privately held and publicly traded companies and speaks with them about how they are improving their operations, their growth profile, and creating a competitive and strategic moat around themselves. He actively seeks out new investment ideas and industry trends at CES, RSA, IoT World, among other well-known technology and security trade shows. Prior to Imperial Capital, Mr. Khan held various roles at Morgan Stanley Capital (MSCI), Merrill Lynch and Citigroup. He earned an MBA, with a focus in information systems, from Johns Hopkins University; Masters in Finance from Johns Hopkins University; and a Bachelor in Finance from Indiana University.